Note: Move your downloaded data to folder /Android/obb/com.momend.mechwars. Added new medium weapon. Laser Hammer is locking to target much faster now. Increased strength of Dozer&apos;s armor.. Changed ui of robot and weapon Lists.. Bug fixes. Mech Wars is a multiplayer game with 6 vs. 6 team battles in real-time!Create your robot army with robot weapon combinations to fit your game style and join to battles. 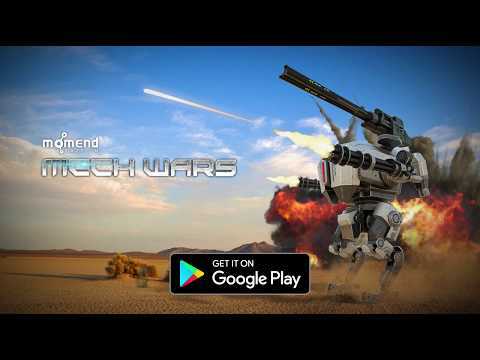 Capture the enemy base or destroy all rivals.Main Features:- Light, medium and heavy robots with different strengths and abilities.... see more Mech Wars is a multiplayer game with 6 vs. 6 team battles in real-time! - Light, medium and heavy robots with different strengths and abilities.